A recent study by the AAA Foundation found that crashes involving a teen driver with other teen passengers in the car are 515% more deadly for road users than crashes involving a teen driver with passengers older than 35. 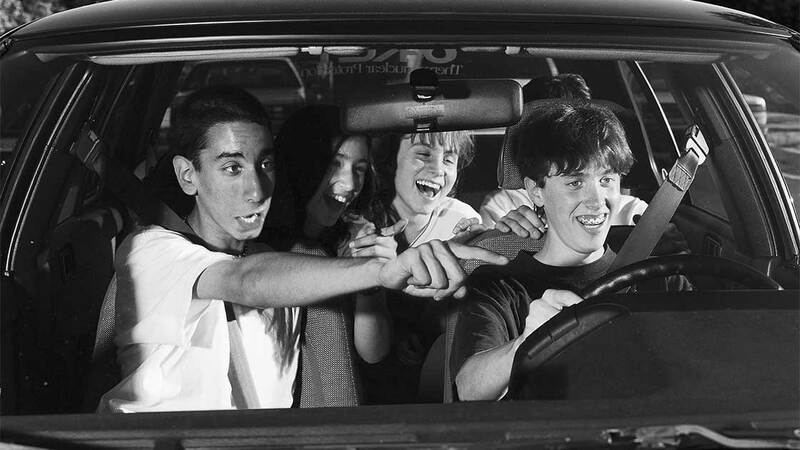 Teens driving with teens is a real danger on the road not only for themselves but also and especially for others. Therefore the AAA recommends that teen drivers first get adequate experience with an adult before riding with their friends. Parents have an important role to play in monitoring their teen child as he or she is learning to drive. Strong coaching and diversity of practices are the best ways to prepare a teen to be a safe driver. When the teen starts to practice, the parent or the supervising adult should start with low-risk situations and gradually when the supervising adult believes the teen driver is ready, move to more complex situations such as driving on a highway, driving at night or in bad weather conditions. Learning how to adapt speed in various situations is also very important. The teen driver should have at least 100 hours of supervised practice before driving by himself and even after that the number of teen passengers should be limited to one for the first six months. A teen learning to drive has obviously less experience than an adult driver and might not always know how to react proprely on the road when faced with difficult situations. Therefore it is important that the teen driver fully concentrate on the road to avoid accidents.When riding with friends, a teenage driver can be come distracted and it can be fatal.